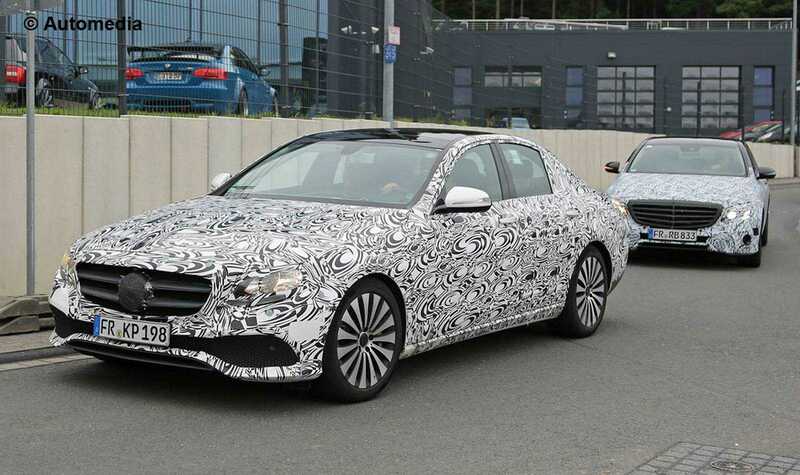 Car enthusiasts were really curious to take a peek into the 2016 Mercedes Benz E-Class without a camouflage, which wasn’t possible until now. The manufacturer has officially revealed the interiors of this most awaited car to the public and automobile enthusiasts. It looks like Mercedes was strongly inspired by their own S-Class line-up, because, a lot of features found in the E-Class resemble their other model. The positioning of the center console on the dashboard, combined with the heater as well as the air conditioning vents is very similar. However, these positions are familiar to the long time Mercedes owners and it is considered to be more ergonomic, which makes sense to adopt the same style in all their next gen models. It is not just the interior that has changed in the Mercedes Benz E-Class variant, but the plug-in hybrid variant has received variations in its engine power as well. Buyers will be able to choose between three different models including a 2.0 liter four cylinder engine, which has an added advantage of an 82hp electric motor, as well as the 3.0 liter V6 engine which is supported by a much powerful 109hp motor. The company didn’t discuss about the diesel, electric motor variant yet, but it is part of their launch line-up. The E-Class will also be the first in the series from Mercedes Benz which offers the V6 engine inline six cylinder models. With the increased power, drivers will be able to experience an amazing 313 horsepower made possible by the integrated double turbochargers. There will also be a variant which has six cylinders, with two of them being electric motors. Mercedes has opted for all aluminum construction for the next gen E-Class, which displays significant reduction in weight and better stability on the road. While big brands are still busy launching plug-in hybrid models, Tesla has leaped to the newer generation electric vehicles. The newly launched Tesla Model X SUV is the first of its kind which boasts of towing capacity, great horsepower, 250 miles on a full charge and stylish falcon wing doors. The company truly believes it will change the world of electric cars and Tesla is also gearing up to offer cheaper EVs in the next two years. With them going miles ahead, it is time now that Mercedes Benz, Audi, BMW among everyone else, start thinking about innovation and adopt electric vehicles without being constrained to hybrids all the time.